Plugins: A list of plugins that can be used to extend reveal.js. You can swipe to navigate through a presentation on any touch-enabled device. Horizontal swipes change between horizontal slides, vertical swipes change between vertical slides. If you wish to disable this you can set the touch config option to false when initializing reveal.js. If there’s some part of your content that needs to remain accessible to touch events you’ll need to highlight this by adding a data-prevent-swipe attribute to the element. One common example where this is useful is elements that need to be scrolled. To enable lazy loading all you need to do is change your “src” attributes to “data-src” as shown below. This is supported for image, video, audio and iframe elements. Lazy loaded iframes will also unload when the containing slide is no longer visible. A ‘slidechanged’ event is fired each time the slide is changed (regardless of state). The event object holds the index values of the current slide as well as a reference to the previous and current slide HTML nodes. If you want to use a parallax scrolling background, set the first two config properties below when initializing reveal.js (the other two are optional). 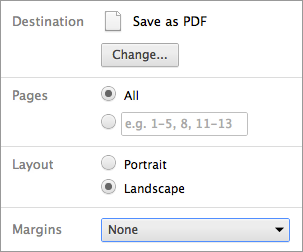 Presentations can be exported to PDF via a special print stylesheet. This feature requires that you use Google Chrome or Chromium. Here’s an example of an exported presentation that’s been uploaded to SlideShare: http://www.slideshare.net/hakimel/revealjs-300. Alternatively you can use the decktape project. Alternatively you can add your notes in a data-notes attribute on the slide. Like <section data-notes="Something important"></section>. Notes are only visible to you in the speaker view. If you wish to share your notes with the audience initialize reveal.js with the showNotes config value set to true. The multiplex plugin allows your audience to view the slides of the presentation you are controlling on their own phone, tablet or laptop. As the master presentation navigates the slides, all client presentations will update in real time. See a demo at http://revealjs-51546.onmodulus.net/. Or you use the socket.io server at http://revealjs-51546.onmodulus.net/. You’ll need to generate a unique secret and token pair for your master and client presentations. To do so, visit http://example.com/token, where http://example.com is the location of your socket.io server. Or if you’re going to use the socket.io server at http://revealjs-51546.onmodulus.net/, visit http://revealjs-51546.onmodulus.net/token. You are very welcome to point your presentations at the Socket.io server running at http://revealjs-51546.onmodulus.net/, but availability and stability are not guaranteed. For anything mission critical I recommend you run your own server. It is simple to deploy to nodejitsu, heroku, your own environment, etc.